from completed build First Time Build RGB for the win! Same as with the K70 LUX which uses the same software. Easy to customize and i really like the one click mode change. I like the default green setting for desktop and gaming. Amazing mouse i might buy one for work. Awesome mouse. Cool RGB lighting effect. And even better when paired with other Corsairs peripherals and link the RGB via CUE for more RGB greatness. Comes in white! One of the absolute best mice made anywhere. The new sensor in the Pro model is heads and tails above the previous model. This white version has a glossy feel on the top (instead of the matte/flat design) of the black version. It looks great. The ergonomics fit my hand perfectly. The ONLY con I would say is that Corsairs software for controlling and changing buttons still needs some work. Its very hard to figure out at first. Still a great investment for a GREAT mouse. 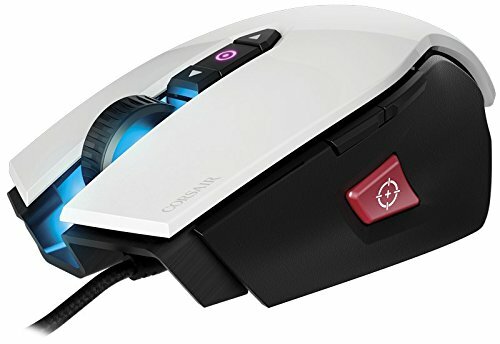 I own this version and the black one on another computer because I have tried many different mice and din't like them as much. 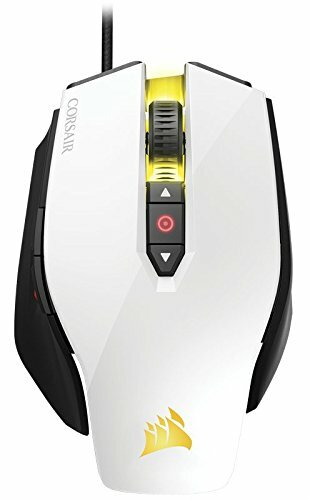 Best mouse that i had !! from completed build Meet "Ragnar"
This mouse is better than I expected. Love the customize-able weight, the textures on the mouse are amazing. The side has a grippy plastic texture which I like because it is going to last a long time without signs of use or break down. What surprised me is how much I like the gloss white. It's just like the apple magic mouse so its smooth and feels great, but it also hides any fingerprints and oil marks. Overall love this mouse and would buy it again. Its a bit small imo but i get used to it after a week, using it for a year nothing wrong happened. Also the condition stays perfect because of the glossy finish. 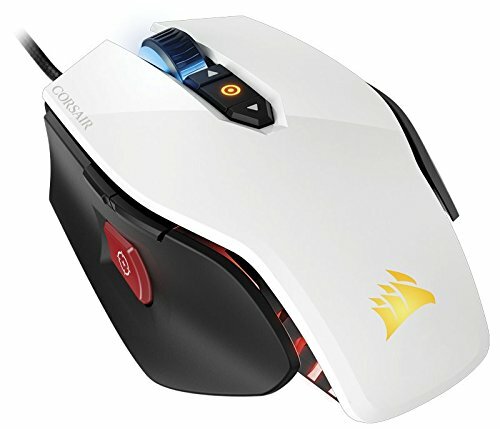 I love this mouse and I think it is one of my favorites despite one small glaring issue. I've owned 4 of them (2 black, 2 white). The buttons are clicky, sensor is on point, works great with Corsair software, aesthetic is beautiful. The DPI switch on the top is great and can be used as macros for anything you want using the Corsair software. 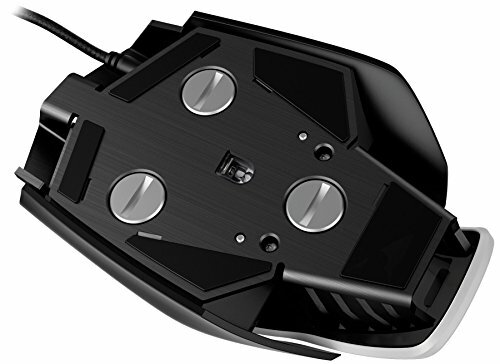 Only difference between the black and white (besides the color) is that the top is a glossy finish on the white, where-as its a more tactile matte grippy feeling on the black (same as the side grip on this mouse. The one negative about this mouse I can confidently say is the "sniper button". Its in a really awkward position (directly under where my thumb grips the mouse) and I accidentally click it A LOT when I dont want to. I would have preferred it to be in a slightly more forward position so that I could grip the mouse more easily without clicking it. In the last year or two they FINALLY updated the Corsair software and I removed the sniper button from doing anything so it fixed the issue. But still seems like a slight misstep.